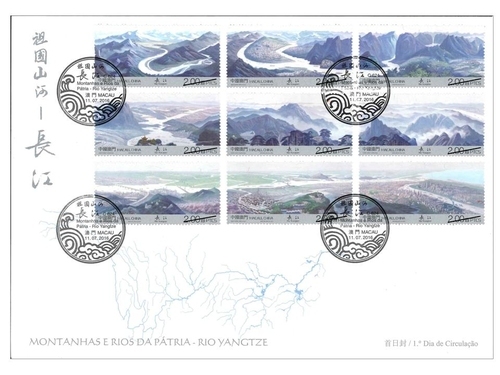 Stamp Issue "Mountains and Rivers of the Motherland – Yangtze River"
The Yangtze River originates from “roof of the world” – the southwest of Geladaindong Peak among the Tanggula Mountain Range of the Tibetan Plateau. From west to east, the Yangtze River flows through eleven provinces, autonomous regions and municipalities, with a total length of approximately 6,300 kilometres, it is ranking third in the world and first in Asia. 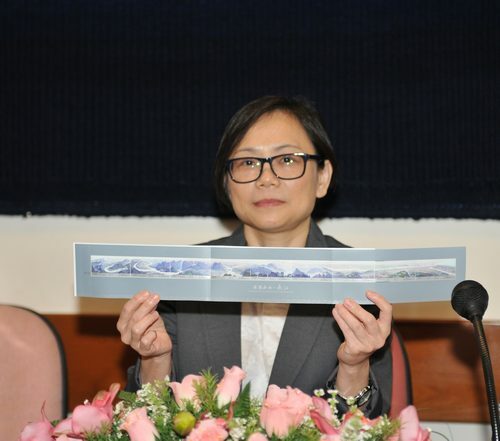 Following the stamp theme “Yellow River” issued last year, Macao Post will release the second issue with the stamp theme “Mountains and Rivers of the Motherland – Yangtze River” on 11th July, 2016. 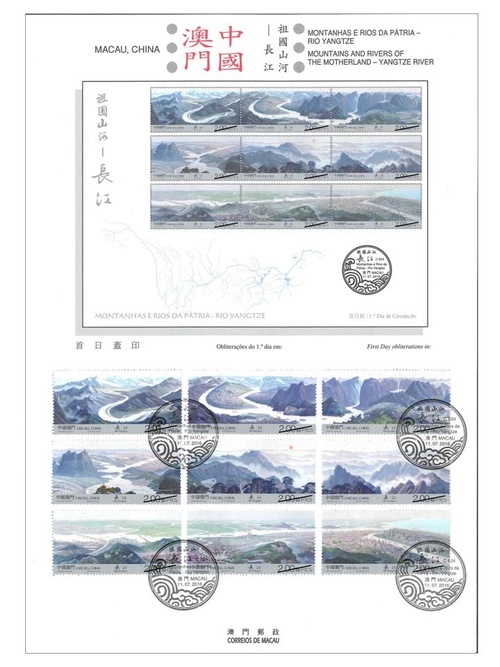 The stamps “Yangtze River”, was conceived from the 30 metres long mural “Ten Thousand Miles along the Yangtze River” by the famous painter Yuan Yunfu. This work was created for the newly established Beijing Hotel in 1972. In 2013, in order to reflect the dramatic transformation of today’s Yangtze river, Yuan Yunfu, who is over 80 years old, worked with his son Yuan Jia to create a new version of 18 metres long and 3 metres high mural “Ten Thousand Miles along the Yangtze River” for the “Golden Hall” in the Great Hall of the People. 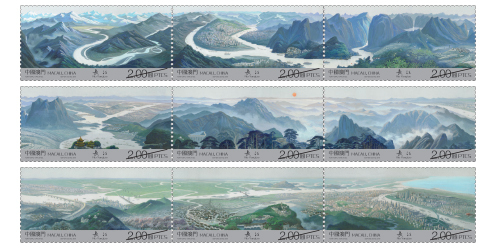 Today, it has already been condensed into a set of 9 stamps “Yangtze River” of Macao Post. 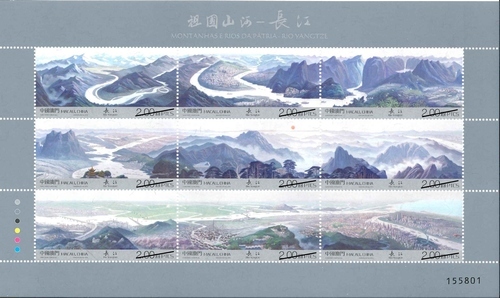 This stamp issue also includes a prestige stamp booklet with 9 stamps in se-tenant format, showcases the panorama of Yangtze River which originates from the snow mountains and flows towards east into the sea, revealing the majestic appearance and spirit of the thousands miles long Yangtze River. The total face value of 9 stamps is 18 patacas, and the booklet priced at 25.00 patacas each. The limited quantity of First Day Cover and Information Brochure (without stamps) will be available for sale at the Philatelic Shop of Macao Post Headquarters on the issue date, customers can produce the philatelic products by affixing the stamps from the booklet with the issue postmark for your collection or mail to your beloved friends and relatives. 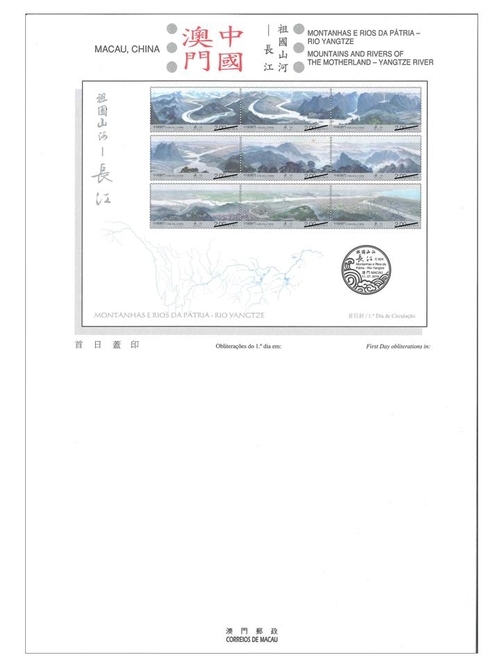 The stamp designers of this issue are Mr. Yuan Yunfu and Mr. Yuan Jia, and the text of the information brochure is written by Mr. Liu Jianhui. This is the eighth theme in 2016. The previous issued stamps are “Lunar Year of the Monkey” on 22/01/2016, the label stamp “Lunar Year of the Monkey” on 22/02/2016, “Scenery of the Imperial Palace in Beijing” on 01/03/2016, “325th Anniversary of the Establishment of the Public Security Police Force” on 14/03/2016, “Chinese Classical Poetry – Ballad of Mulan” on 08/04/2016, “Macao Seen by Chan Chi Vai” on 28/04/2016, “Museums and their Collections V – Maritime Museum” on 18/05/2016, and “FIVB Volleyball World Grand PrixTM – Macao 2016” on 17/06/2016. 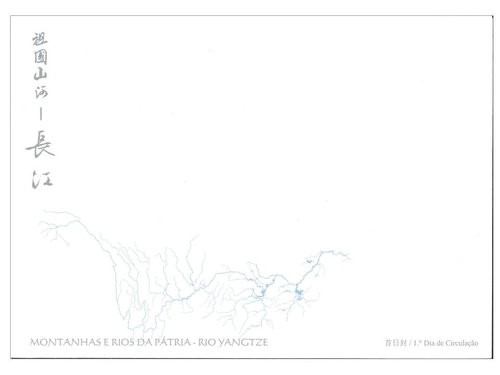 Technical Data of Stamp "MOUNTAINS AND RIVERS OF THE MOTHERLAND – YANGTZE RIVER"